The Executive Leadership Academy provided real world scenarios and direction that could be applied as soon as I left class! The skills and tools gained from Julie’s facilitation helped me immediately with challenges I was currently facing as a leader in my department. She provided structure, yet allowed the class to take the lead with our questions and discussions based on what all of our current needs were at the time. It was interactive, thought-provoking and inspiring! Learning the theories behind what makes a good leader has the potential to be powerful, but it is far more powerful when the information steps outside of theory and becomes practical reality. Julie has mastered the ability to absorb a phenomenal amount of information and distill it into useable, succinct and effective strategies for enhancing one’s leadership skills. She both assists and challenges participants in her leadership courses to stretch themselves and their leadership abilities in practical ways. Engagement, participation, homework and accountability create the perfect formula to elevate a leader out of the ordinary and towards the exceptional. Thank you Julie for this transformative experience. Truly an expert in her field, Julie offers an energizing course that reinforces and introduces leadership concepts that can help you both professionally and personally. This phenomenal program is filled with compelling concepts and enjoyable experiences. You allowed me to explore my inner strengths and recognize my leadership values. I found my time in Leadership Coaching to be a great way to refresh myself as a manager and leader. The time spent reviewing tools and techniques gave me an opportunity to reset my skills while improving on abilities to be a leader within our agency. I found the training to be of great value to me and my employer. Julie creates a designated space—literal and figurative—for honest, authentic exploration and reflection. This space allows leaders to discuss key ideas, challenge status quo, and learn how to support one another away from their daily grind. These deep connections among the participants, along with the content, open pathways to improved engagement, increased accountability, and organizational progress. Julie’s Leadership Academy gave me new tools and insights not only into leadership in the workplace, but communication and conflict management skills applicable to every relationship in my life. Lancaster Consulting has lessons for everyone who ever has to interact with anyone else. Julie is a dynamic, inspiring facilitator who brings in her own personal experience as a way to foster participants’ ability to be vulnerable, honest and curious, yet draws out attainable plans, actions, and results. Julie Lancaster was dynamic! I enjoyed her energy and her message. I feel like I am able to better my negotiations and focus on my areas of opportunities with respect to presenting to area business partners. Julie brings a level of vitality that fits right in to our team. Whether she is teaching hard or soft skills, her positivity gives her sessions an extra boost. And based on the quality of the trainings, it is clear that there is a lot of intelligence and experience under that engaging personality. Through masterful facilitation (and a great sense of humor) Julie has transformed a group of supervisors and managers who had little knowledge any programs outside their own within the Agency. She has not only provided them with the foundations of leadership but has created a cadre who can now reach across the Agency for solutions and support. Julie is a reliable business partner and has been outstanding in the structuring of long term training events and initiatives at the executive level. Julie is a professional who takes the time and effort to truly understand her clients' needs. She is flexible, provides valuable perspective and great support to the benefit of individuals and teams alike. Spending a day with Julie Lancaster brought a light back into our team! I thoroughly enjoyed Julie’s presentations, insight, and fun demeanor during our staff retreat. It was a most enjoyable day and our team brought back and have continued to build on what we learned! Julie is an amazing leadership coach!! Julie met with the organizers of Flagstaff’s Women Empowering Northern Arizona recently to help us grow our giving circle’s membership. She came prepared with great ideas to help us spread the word about our giving circle and how to get everyone more organized and on task. She arrived to a group of 7 friends and was able to easily keep us on track, learning the whole time and we had lots of fun too! This was a fantastic workshop. This was one of the best retreats I have been to. Julie created a balance of networking and education that was focused. This was definitely worth my time and money well spent! Thanks! I appreciate how you keep the group on track and cover the material, yet allow each person to contribute as they are motivated. You are able to present the practical, frame it with plain language, then proof it with the academic. This gives me, a nuts and bolts kind of learner, real world tools to carry and use often. I have already been able to redirect a discussion! Lancaster Consulting is a true business partner focused upon the success of its' clients. The School District engaged Lancaster Consulting to provide hands-on training and development for the Districts' leadership team to much success. With my 20 years of corporate HR and public HR experience, I personally recommend Lancaster Consulting, if your organization is in need of increased employee engagement or just a positive kick-start. Julie is simply amazing. Having attended my fair share of supervisory, managerial, and leadership development trainings, I can say that the 8-day Executive Leadership Academy she facilitated was leaps and bounds ahead of the others. The journey she led us on was filled with thoughtfulness, reflection, challenges, emotions, respect and, most importantly, fun. She is a remarkable trainer that has forever left a lasting impression on me to be a better person in every endeavor I pursue. 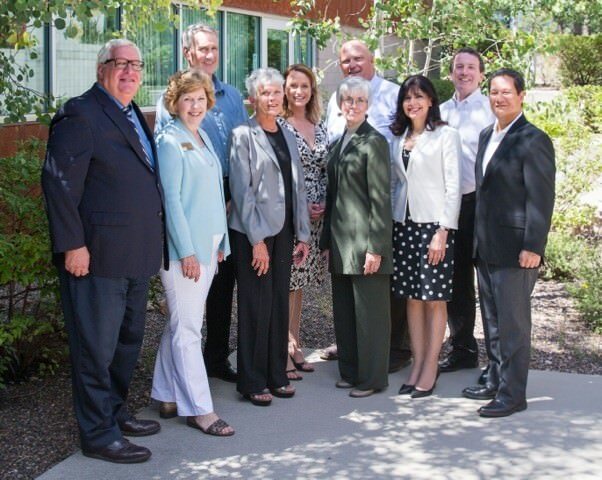 The Executive Leadership Academy instructed by Julie was a great wealth of information for all of us here in Page, AZ. I felt Julie really tackles the hard issues and brings us around to understanding how much more effective we can be as Leaders in our Community. I definitely recommend this seminar to anyone wanting to further their Leadership Skills. As a Human Resources and Information Systems Projects Manager, I experience a certain amount of anxiety from ‘technology’ and ‘change’ quite frequently. With her usual grace and humor, Julie presented from a position of understanding, empathy, and reassurance that we’re not alone in our experiences, and we will endure and overcome through optimism and determination. WOW!” Julie is a dynamic, high energy presenter who joined us as a General Session speaker at our annual conference. Julie was able to energize our crowd of 200+ attendees, after lunch no less! Giving each of us very informative take-aways on successfully navigating change. She is a fun and engaging presenter who is able to tackle tough topics at a high level while simultaneously connecting at a personal level with the audience. I highly recommend her for your next Keynote Presenter. The ELA program was an incredibly worthwhile investment of my time. The program helped me explore and push my boundaries, it helped me grow as a leader and manager, and it helped me grow as a person. The program is incredibly interactive, we practice immediately what we are learning, and we hold ourselves accountable to implement lessons in our jobs. ELA was the best networking and relationship-building experience I’ve had as a professional; I walked away with great friendships. I have to admit, the program is fun and it was a joy to be in the weekly class. My coaching time with Julie was always the highlight of my week. As I see it, each of us as individuals, are always in transition. Some are more obvious than others. Julie helped me work within my own set of transitions and challenged me to think more deeply about my current leadership role. She provided me with actionable tools to help me develop new ways to lead and focused our time on better defining my career goals. Julie Lancaster is a consummate teacher and trainer. Julie inspires you to become the best possible leader by providing individual and group activities, lectures, media and intensive soul searching. Her fast paced, stimulating curriculum, never gives you a chance to become bored. Her positive upbeat manner is contagious and laughter is heard throughout the day. Julie gives you hands on and practical skills to bring back to the work place to immediately implement with you team. …dynamic, energetic, humorous…allowed open communication amongst our team. After this leadership academy, I am now the leader of my own life again. From the first introductory meeting, Julie Lancaster created a space of trust and accountability that was the foundation and ultimately a common theme of our strategic planning. Julie essentially became a part of our team through this process; we are not only grateful, we are also proud of the work accomplished through the leadership of Lancaster Consulting. Julie Lancaster is easily one of the best facilitators I have encountered in almost 20 years on the job. She is skilled in having fun while addressing very serious topics such as work culture and leadership. While heavy topics can be discussed, participants leave feeling connected and inspired. I would strongly encourage those in leadership roles to consider recruiting Julie for workshops/retreats with their team. You will not be disappointed with the results! Attending the Executive Leadership Academy was one of the best experiences of my professional life. Julie kindly challenges participants to become healthier, more effective leaders. The tools she provides are indispensable for any person wanting to grow both personally and professionally. Julie’s style fostered both genuine engagement and self-reflection that helped us discover the leadership qualities we already had, recognize where we have room to grow, and be empowered to seek out that growth. She not only provided tangible skills, she guided us through developing those intangible qualities that make us leaders, with the capabilities to recognize and cultivate leadership qualities in others. Julie provided a safe place to talk about our current work culture and our vision for the future. The topics we explored with each other were all things that many of us struggle with, but may not feel comfortable broaching. In one workshop we explored our fears, often not something we readily want to share, but it resulted in the awareness that we are not alone and it’s okay to be afraid, as long as you still take right action. We left these workshops with tools we could implement immediately, and action plans related to things like eradicating gossip within the office. There was plenty of time to explore these topics in detail, share with each other as a team, and practice leadership skills such as giving and receiving feedback. I highly recommend this workshop! Julie did a fantastic job helping the Economic Development Program to look to the future. She assisted with developing a planning process to receive stakeholder feedback, and then worked with us to turn that into a document we can own and really use. Her facilitation throughout the process led to great insights about our communication, about our strengths as a team, and about where we want to go to fulfill our role for the community. I truly appreciated her approach and her style, and look forward to working with her again in the future. I will use these tools for a lifetime! Learning that how people express concerns, form opinions and act out their fears, all affects the ways that you need to communicate with them to gain their trust and respect. Yet to have it clearly laid out in front of you that the best qualities of a team are when the needs of the individuals AND the team get met, was enlightening. This experience was about becoming a more effective leader by becoming a better/more effective human being. The value of this course was not couched merely in institutional learning, but in self-improvement. Thank you for this opportunity! It is greatly appreciated from the bottom of my heart. I gained insight about others and myself. I received useful tools for improving the effectiveness of my communication with others. Julie provided insight upon what it means to be a leader, not by a universal standard, but by our own standards. In addition to our own personal growth, we were interacting with our own colleagues in a manner that strayed from routine, creating another layer of relationship that extends beyond work. It has tested me at many times, but I feel better equipped after taking the class with Julie. You will learn to hold yourself accountable for your actions, and request feedback from your coworkers at all levels in your company. Participating in the Executive Leadership Academy led by Julie Lancaster was invaluable. Julie was able to bring our diverse group together not through some management theory epiphany, but through weaving our individual experiences to show true and meaningful leadership. It helped us realize and grow confident that we are at least on the right path. I enjoyed the balanced professional savvy and learning environments that Julie provided throughout the Academy. Julie was facilitator for a high-level administrator day retreat. She moved us skillfully into various group and whole-group tasks and discussions that got us talking openly. Almost all of us gained new insights into our communication strategies and perhaps reconsidered some of our more standard interaction patterns. Simply put, Julie made me realize traits about myself that previously I was unware of – both positive and negative. She has helped me to strengthen my assets and make the most of my natural skills while growing those areas that may need a little extra attention. Julie offers both concrete strategies and flexible considerations attuned to individual and group needs. Julie's positive, engaging nature brought a sense of team comradery and connection to our group. Her ability to ensure individual contributions were respected and her intuitiveness to determine when to delve deeper into an issue shows her experience in effectively navigating workplace relationships. Our organization was left with concrete strategies that can (and should) be implemented immediately. The Executive Leadership Academy exceeded my expectations. The best courses are those that are taught by someone who genuinely loves their topic and Julie is that person. Her enthusiasm was infectious and her knowledge of the material very apparent. It was a wonderful experience that I would recommend to everyone who is in a leadership role or aspiring to be. Julie is a dynamic individual who facilitated a Vice President’s retreat for the University. Her efforts really helped the team identify some key goals and the communications that would be helpful to reach those goals. 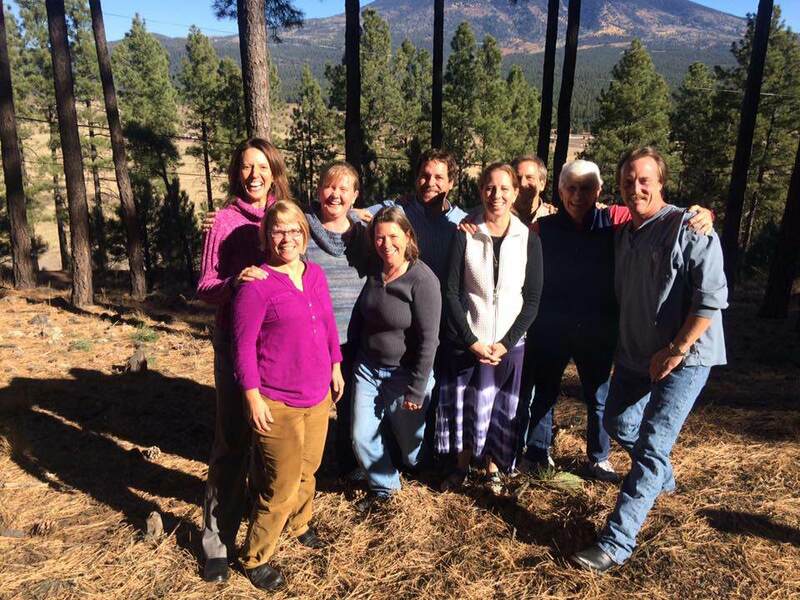 Seeing the group’s effectiveness increase after the retreat was a positive and tangible result. Having this come as a result of an enjoyable mixture of activities and discussion, was an added benefit. Julie's encouragement and enthusiasm made the team building activities actually really fun. We connected as a group, felt rejuvenated about our mission and came up with some plausible ideas for growing and moving forward. We owe much of that to Julie's guidance, knowledge and passion as a facilitator. Julie provided so much useful information and tools to help me do my job more efficiently and with a mindfulness to my coworkers. Our entire organization now has a proactive, open, team-oriented approach to our work and mission. Julie creates a safe, relaxed, and fun atmosphere without judgement. Julie is a leader by example and provides honest feedback and great examples from her experiences. I will take her teachings of leadership and apply them to my professional and personal life. Julie inspires you to become a better leader and person, always considering every aspect of a situation. I look forward to working with her again. The Women’s Leadership Retreat delivered all it promised! This was such a wonderful way to promote self-reflection among a phenomenal and talented group of women. I’m grateful I decided to take part in this enlightening opportunity to witness and participate in Julie’s empowering facilitation methodology. I found Julie Lancaster to be a gem, she shines like no one else. She is engaging, clever and witty, a subject expert, applies “real-world” tangible solutions to difficult situations and work place interactions, that will make a seasoned manager walk away with new outlooks and tools to get the job done. One interesting perspective I found is that Julie’s material and methods are just as relevant at home as they are in the workplace. If you’re looking to enrich, inspire and bring your team to a new level, you just found it with Julie Lancaster!! My time with Julie has helped me to not only be aware of myself both professionally and personally through my interactions with my family, friends and coworkers but also aware of how other’s reactions affect my current path in life. Thank you Julie for always being that lending listener that is willing to give feedback that is inspirational, focused and taken to heart, soul and mind. Julie designed and facilitated a wonderful women's leadership retreat. The activities invited self-reflection, vulnerability, and inspiration to dream big and reach higher. She created a safe space for everyone to participate and I look forward to the next opportunity to gather in community. I greatly appreciated the emphasis on the practical application and planning for the inclusion of meditation and self-care techniques into our daily lives. The camaraderie and thoughtful input from the fellow participants added greatly to the overall experience and value of my take-aways. Julie taught leadership and management skills women need to sustain a healthy and prosperous life in the 21st century. Julie encouraged us to practice risk taking especially learning the skill of saying “no.” Learning and practicing this skill will only make us even better people in the long run. I was amazed at how much more I gained compare to my previous training experiences. Even though it was in a group setting, it felt personal and the connection she developed with my team made the experience worthwhile. We grew as an organization. Being a part of the Radical Selfcare retreat with Julie Lancaster was very fulfilling on all levels of mind, body and spirit. I gained many very helpful tips on taking care of myself while still taking care of my family. I learned that I am not the only one struggling with trying to live to my fullest potential. Julie has an amazing and powerful stage presence and fills the room with positive and motivating vibes. Thank you! Building a network of female leaders in the community is near impossible without this type of program. Julie worked with our managers and executive team members through a variety of subjects all targeted at improving communications and the learning and management styles of our team members. The training was well paced and specifically modified to fit the needs of our business. Julie has a special and caring demeanor that engaged all participants. She was a pleasure to work with and I know her insights will serve us well as we move forward. I feel so energized after attending this Women’s Leadership Retreat! I now have specific action steps to take toward my goals and a broader understanding of how to ask for and accept help and support toward reaching my goals. At the one day retreat with Julie, I gained an insight, reinforced by the wonderful women there with me, 'I deserve to be here'. Experiencing and articulating 'I deserve to be here' helps me to regain my confidence - to be, to express, to contribute at work and with my family and here, there, everywhere. With Julie, Ariana and the women in my seminar, I experienced belonging. Julie has a great mix of leadership skills, experience and energy that helped coalesce our team for the benefit of the organization. She’s direct, flexible in response to whatever the situation requires, and adapts quickly to make your limited time productive. Julie’s expertise and facilitation of our strategic planning process, mixed with targeted information and assessment exercises, has advanced our team’s development and productivity. It's rare that women from so many different walks of life get the opportunity to connect in a real and vulnerable way. Ariana and Julie create that space and bring a tribe together. The time I spent with these incredible women not only gave me insight into my professional pursuits, but better equipped me to navigate my personal life. I learned that whether we are at the start of our careers or are experts in our fields, the chain of strength and solidarity that connects us is unbreakable. The training gave me a useful strategy for giving feedback. The strategy helped structure conversations with staff members addressing areas of needed improvement. Julie Lancaster is an open and engaging speaker who really connects with her audience. The skills she taught will help me communicate and negotiate more effectively both in and out of the workplace. Julie communicates honestly and openly. I am certain she can lead any team to achieve more than they thought possible. And equally important, they will have loads of fun in the process! Julie Lancaster was always top-notch: tirelessly enthusiastic, goals-focused, enlivening and especially warm and authentic. Julie expresses herself in a confident, positive manner, much like the best minister you ever heard. Her insights are honed for clarity and simplicity. She leaves you feeling encouraged and ready to tackle your next task. Julie's insight, natural curiosity, and tuned in listening skills brings a level of participation and energy to our leadership team that is amazingly valuable to our group dynamic. The energy and positivity created by Julie is wonderful in our total group participation. Julie provided me with strategic initiatives I could use immediately with issues I was facing at work. She was a great sounding board for ideas. I am so grateful for her help, her warmth and her encouragement. In a leadership development training of my peers she facilitated, Julie's positive energy, astuteness and ability to respect all individuals while keeping us on task was undeniable. During individualized coaching sessions, she keenly listened and then encouraged practical, positive action. Ms. Lancaster has a keen ability to turn vision into action; she is gifted at instilling inspiration. Julie Lancaster is an excellent facilitator! She does so in such a way that it doesn’t feel like you are being facilitated. Our team was encouraged to reach our next level of excellence after completing our program. Our members range in experience from over 30 years to just under five years. You managed to actively engage every single participant and every participant walked away with new knowledge and/or new found enthusiasm for the job we do. Julie Lancaster is a great coach. By participating in her ``Becoming a Highly Successful Team`` workshop involving the Myers-Briggs personality typing tool, I was able to finally understand the differences between myself and my coworkers. It has really opened my eyes on how to better communicate and work alongside coworkers with different personalities. I would definitely recommend attending any class Julie is holding! Julie presented an exceptional talk for Flagstaff Girl Scouts. She really knew how to talk to the teens and encourage them to believe in themselves and be brave. Julie Lancaster knocked it out of the park when she engaged a group of busy leaders for a short session on Time Management. People that had been working together for years connected in new ways and wanted more! We are bringing her back to work with our team and Advisory Board. Julie has a rare combination of enthusiasm, compassion and warmth, all mixed with phenomenal teaching skills. You can see that she is very passionate about her coaching and consulting work and really loves helping people make positive changes. Her presentation style is fun and engaging, leaving you with practical information and tools that you can employ immediately. There are certain people in this world who are able to inspire those around them to aspire to greatness. Julie Lancaster is one of these rare people.